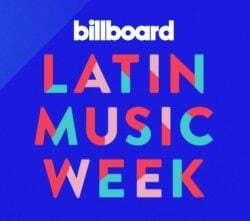 With massive momentum in the Latin music industry both in the states and abroad, The Orchard’s artists and labels earned themselves 2018 Billboard Latin Music Awards nominations. For starters, The Orchard (yes, The Orchard itself!) is celebrating nominations for Tropical Albums Imprint of the Year and Tropical Albums Label of the Year. After a great year of releases, including Aventura’s chart-topping Todavia Me Amas: Lo Mejor de Aventura, our team is ecstatic about the nod from Billboard Latin. Many of our labels and partners can celebrate nominations as well! Marc Anthony’s Magnus Media earned a nomination for Tropical Songs Airplay Imprint of the Year, while Fuse Music artist Bad Bunny landed on the list for Best New Artist of the Year. RIMAS Entertainment artists Jowell & Randy have been noted for Latin Rhythm Artist of the Year, Duo or Group and Marco Antonio Solis was included for Tour of the Year. Speaking of a monumental year, Ozuna and Daddy Yankee each racked up 10 nominations. Under his own record company, El Cartel Records, Daddy Yankee partnered with The Orchard to release a few gems from his bonafide catalog on streaming services for the first time. Paired with his hit song feature alongside Luis Fonsi, “Despacito” earned DY spots along J Blavin and Ozuna for Artist of the Year. Daddy Yankee is also included under Latin Rhythm Artist of the Year, Solo as well as Songwriter of the Year and parallels Luis Fonsi on almost every possible song category. The Orchard congratulates all of our labels, artists and partners on their nominations! Find the full list of finalists on Billboard.